1- Pack away the dark and bring in the light. Replace heavy, dark drapery and linens for light, cool colored ones. 2- Bring the outdoors in. Place potted plants throughout the home to bring in soothing aromas and calming views. 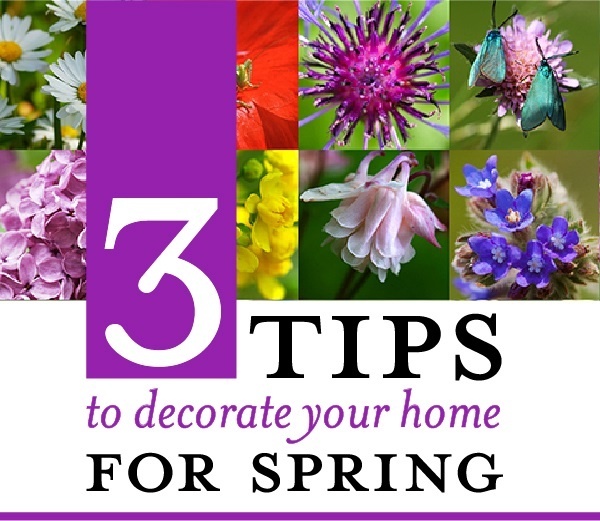 3- Rearrange your space to make the outside view a focal point. When rearranging your spaces, clean under furniture, dust shelves, touch up paint, etc. Don't forget, my business grows through referrals. If you or anyone you know needs professional real estate service, please don't hesitate to contact me.